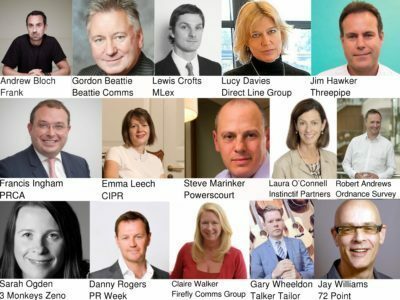 Is broadcast PR expensive? - Shout! Would it surprise you then if I told you this icing-on-a-PR-cake can start from as little as £1000? Money is a major obstacle to overcome when persuading a boss/client to assign budget to broadcast PR. What they fear most is that they’ll shell out a small fortune and possibly get nothing in return. Let me tell you that will never happen. Phew! Thank goodness for the broadcast PR guarantee!! Radio is the more straight forward media when it comes to this. A standard radio day (or radio studio tour) costs £3, 300 with us, for which we’ll guarantee a minimum of 10-12 opportunities, 1-2 of which are likely to be nationals. At the start of a campaign we’ll ask you what you most want: for some clients it’s all about the numbers, so they want the greatest reach possible on the biggest of stations; other clients are more concerned with branding, so effective communication of key messages on a smaller station may be worth more to them than a short sound-bite that’s broadcast nationally. Unless you’ve specifically told us otherwise we will go for the biggest, generally urban based, stations. A busy news agenda may result us moving down the list but even on the biggest news days we can still do what we promised. Television is trickier, so tricky in fact that we say it isn’t happening until we see the spokesperson on the small screen going out on air. PR campaigns are generally only ever featured on TV news and daytime programming, which means the opportunities are limited. Operating round the clock, Sky News and BBC News Channel arguably have the greatest appetite for PR generated stories but other news programmes, on the BBC and ITV particularly, are limited by time, so PR stories compete with organic news of the day. So how do we get round that one? As former broadcast journalists we feel we have a pretty good gut feeling about whether a story is going to make or not. If we are confident we’ll offer a package, starting from £2, 000, which will include an assurance of how many opportunities we are going to secure. Not every story suits every broadcaster – what ITV’s Good Morning Britain loves is not necessarily going to be a good fit for BBC Breakfast for example – so we can work out to an extent what the likelihood is. If we’re less confident we may suggest a £1, 000 fee for selling in, which includes the first opportunity, then an additional fee for every opportunity secured after that. The financial risk for a client, therefore, is minimal. We offer a similar programme for placing video online. When it comes to enhancing your chances of broadcast coverage, then video is the best investment you could possibly make. TV stories that come with B-roll stand a much greater chance of getting on air, than those without pictures. B-roll is 6-8 minutes of roughly edited video footage that illustrates a story; it’s given to broadcasters free of charge and copyright issues in the hope it will encourage them to run a story (read more about B-roll in our blog here). Online journalists have an appetite for B-roll too, particularly the newspaper websites, others prefer a video package already cut. The good news is that you can use the same video material for both. Cost wise we charge in time – £1, 000 for half a day, £1, 500 for a full day. It depends what the story is of course, but most of our B-roll is filmed in half a day, then allow half a day to edit, and a further half day to turn the same material into a video package. So is broadcast PR expensive? Considering how many millions of people you can reach and the impact such appearances can have, no, it’s not. It’s a positive bargain.